Metastatic Melanoma The facts about metastatic melanoma, a serious skin cancer. Skin Cancer Get the facts about skin cancer, including the types and symptoms. Acne Important facts about acne and what causes it. Alopecia Alopecia facts; different types of hair loss & what can cause it. Facelift Facts about facelifts, including the different types of procedures. Facial Wrinkles and Lines Find out what causes facial wrinkles and lines. Lupus Get the facts about lupus, including symptoms, risk factors, and the different types. Non-Healing Wounds Facts about non-healing wounds, including different types & causes. Psoriasis Learn about the symptoms of different types of psoriasis. Dr. Thomas W Bender III, MD is a Doctor primarily located in Mobile, AL. He has 23 years of experience. His specialties include Dermatology. He speaks English. Dr. Bender has received 4 awards. The overall average patient rating of Dr. Thomas W Bender III is Great. Dr. Thomas W Bender III has been rated by 64 patients. From those 64 patients 35 of those left a comment along with their rating. The overall rating for Dr. Thomas W Bender III is 4.4 of 5.0 stars. See the board certifications this doctor has received. Board certifications provide confidence that this doctor meets the nationally recognized standards for education, knowledge and experience. Board certification indicates that a doctor is highly qualified in the medical field in which he or she practices. A board-certified doctor is more likely than a non-board-certified doctor to have the most current skills and knowledge about how to treat your medical condition. * This information is proprietary data maintained in a copyrighted database compilation owned by the American Board of Medical Specialties. Copyright 2017 American Board of Medical Specialties. All rights reserved. After telling Dr. Bender that I had my first skin cancer removed at 27 from my nose and at 74 I needed to make sure this scale like skin was not basal cell cancer. Not once but twice he froze it off telling me I was fine. After the place returned I went to Dr. Scott Freeman and he did the Mohs surgery 5 times on that spot and had to do a graft. It was a very painful ordeal! Handsome and charming he is but not competent!!!!!!!!!! Both times I reminded him of the previous basal cell that had to be removed. I went to see Dr.Bender for removal of a lesion. The nurse injected the site with Lidocaine but the doctor did not wait for medication to be effective. Pain was excruciating. My Primary Physcian referred me to Dr. Bender several years ago and he diagnosed skin cancer. My surgery was successful, no scarring. Since that time Dr. Bender has monitored my skin condition with care and precision. I highly recommend him. Very helpful team - not a factory! Vitals On-Time + Promptness Award recognizes doctors with consistent high ratings for timeliness of appointments. The honor is granted based on a physician's overall and promptness scores. Compassionate Doctor certification is granted to physicians who treat their patients with the utmost kindness. The honor is granted based on a physician's overall and bedside manner scores. Patients' Choice recognition reflects the difference a particular physician has made in the lives of his/her patients. The honor is bestowed to physicians who have received near perfect scores, as voted by patients. Castle Connolly is America's trusted source for the identification of Top Doctors. Their physician-led research team reviews and screens the credentials of tens of thousands of physicians who are nominated by their peers annually, via a nationwide online process, before selecting those physicians who are regionally or nationally among the very best in their medical specialties. Castle Connolly believes strongly that Top Doctors Make a Difference™. Dr Bender graduated from Murphy High School in 1988 in Mobile, AL. He was selected by both of Alabama's Senators at the time and Congressman Sonny Callahan to represent the state of Alabama at the United States Air Force Academy. Dr Bender graduated from USAFA with a degree in electrical engineering and pre-med in 1992. He earned a scholarship and attended Tulane University School of Medicine. After graduation, he began his military career by completing an internship in General Surgery at Keesler AFB, MS. He then served four years in Family Practice at Maxwell AFB, AL before returning to Tulane for his residency in dermatology. He was assigned to Eglin AFB in Ft Walton Beach, FL where he served until 2008 when he and his family decided to move back to the Gulf Coast of Alabama. He started Gulf Coast Dermatology and Skin Care Centre in January of 2009. 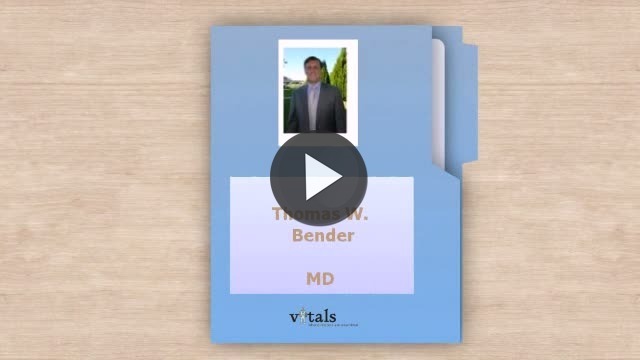 Take a minute to learn about Dr. Thomas W Bender III, MD - Dermatology in Mobile, AL, in this video. Dr. Thomas W Bender III is similar to the following 4 Doctors near Mobile, AL. Have you had a recent visit with Dr. Thomas W Bender III? Select a star to let us know how it was.